Until the early 19th century much of north Lambeth (now known as the South Bank) was mostly marsh. This was drained and leveled by William James who was land agent for the Earl of Warwick. 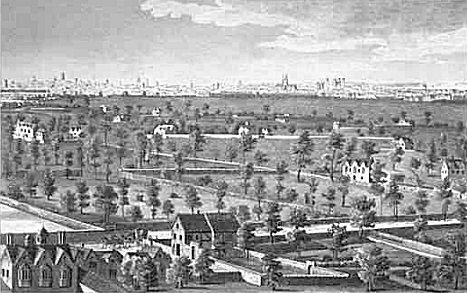 William Curtis, the 18th-century botanist, had his home and botanical gardens on Lambeth Marsh.